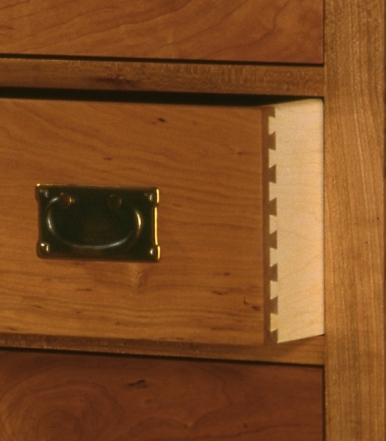 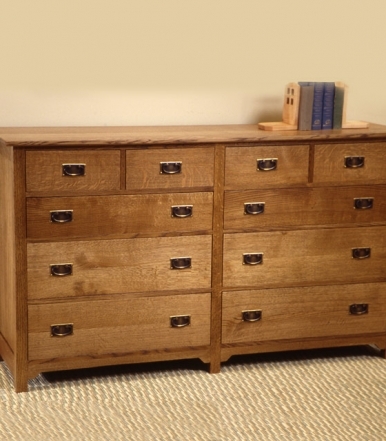 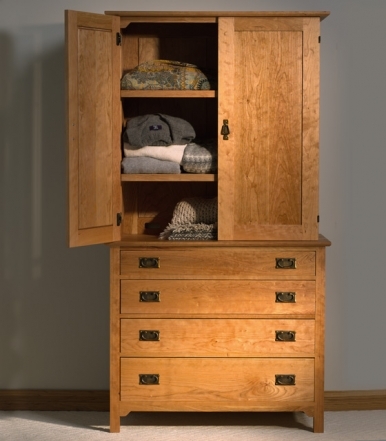 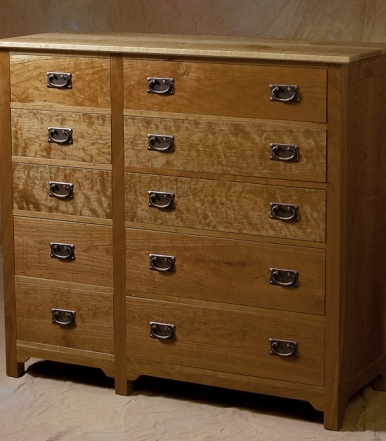 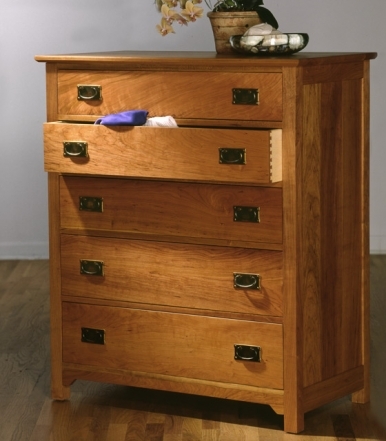 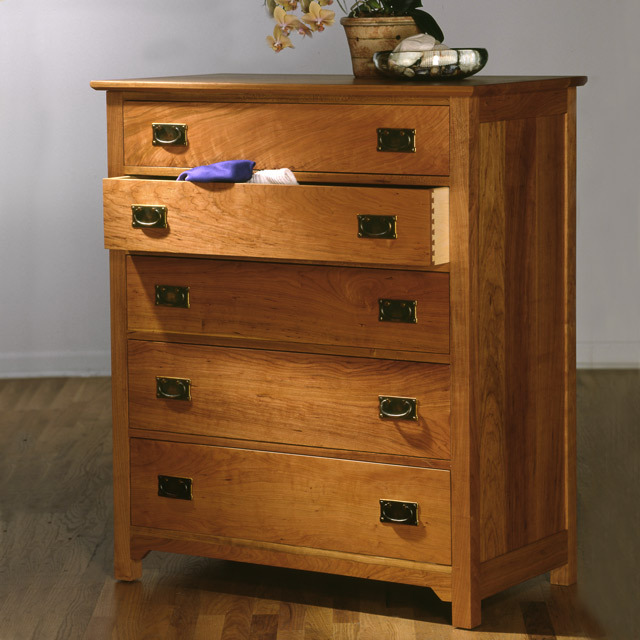 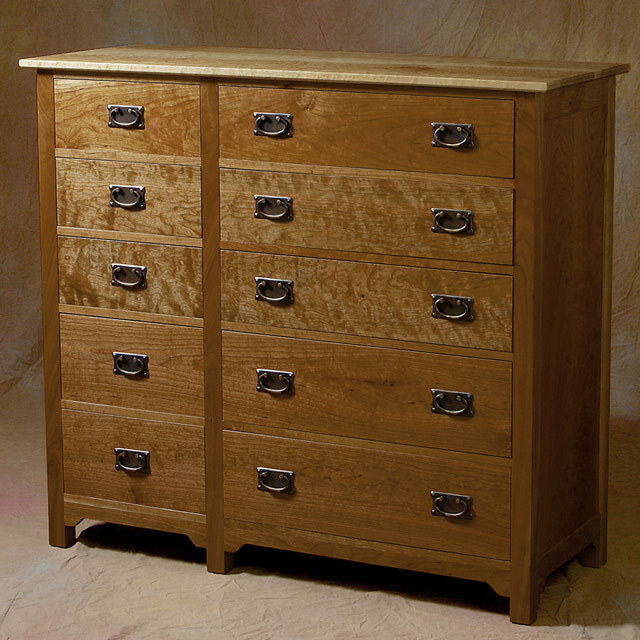 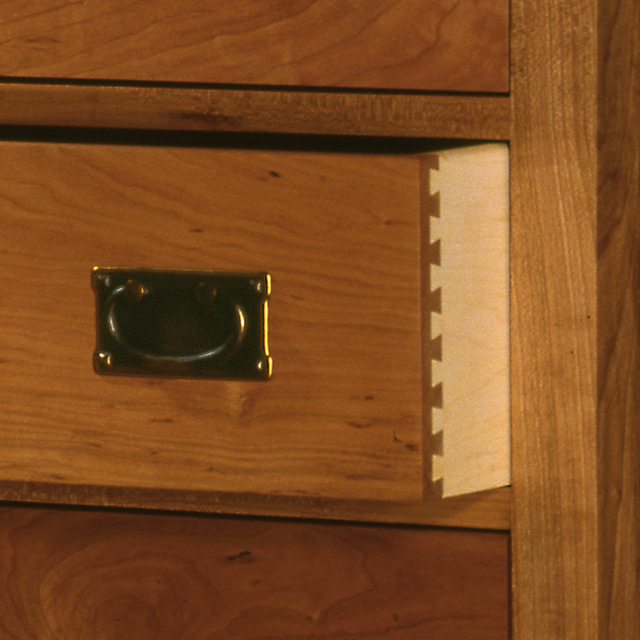 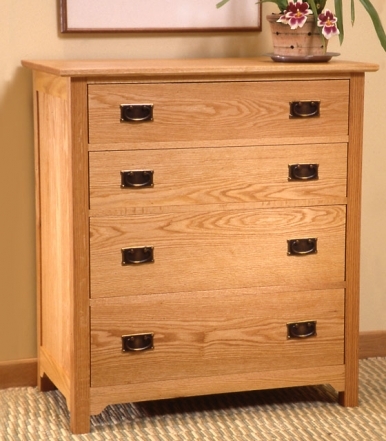 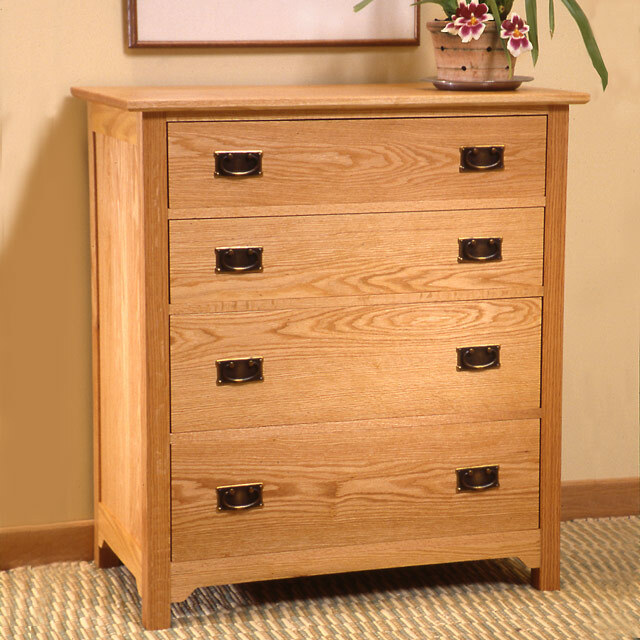 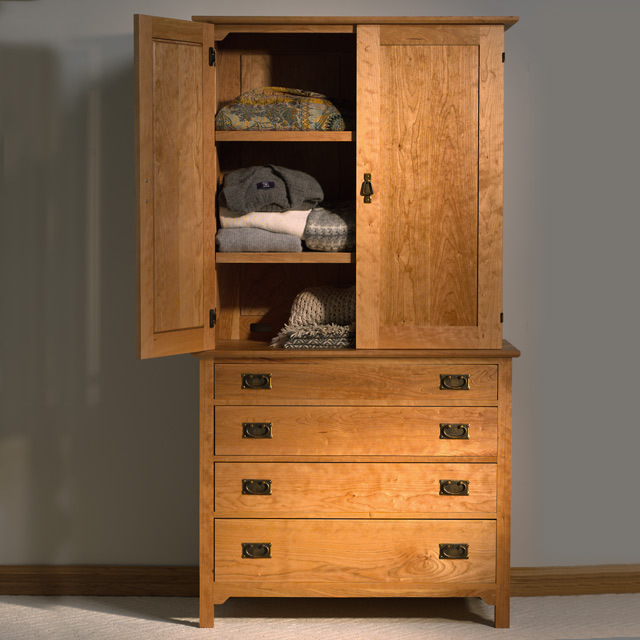 I create twelve, ten, five, and four-drawer dresser designs that do a great job of keeping your life tidy. 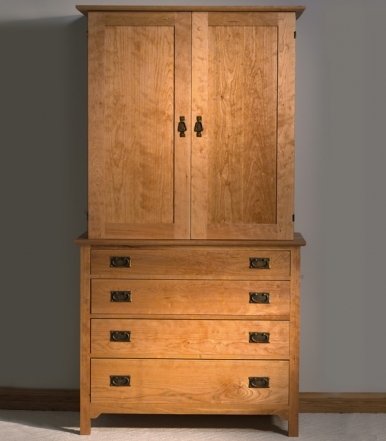 My armoires and wardrobes are built for the big jobs. 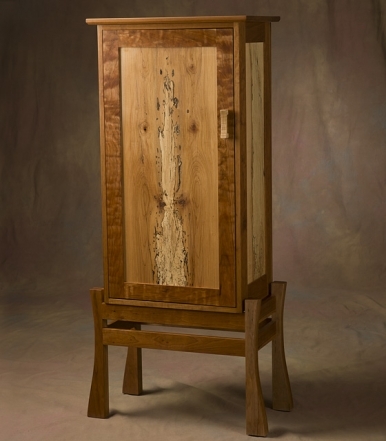 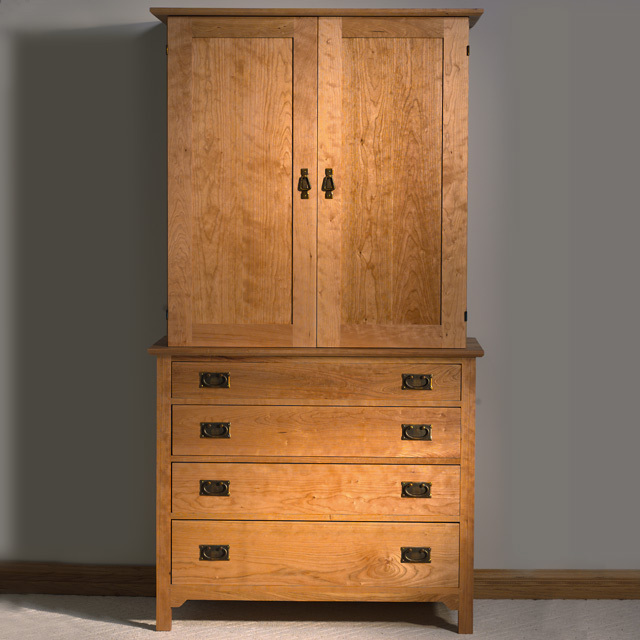 Some clients choose an armoire design to create an entertainment center, with adjustable shelves and cord slots in the upper section to easily handle wiring. 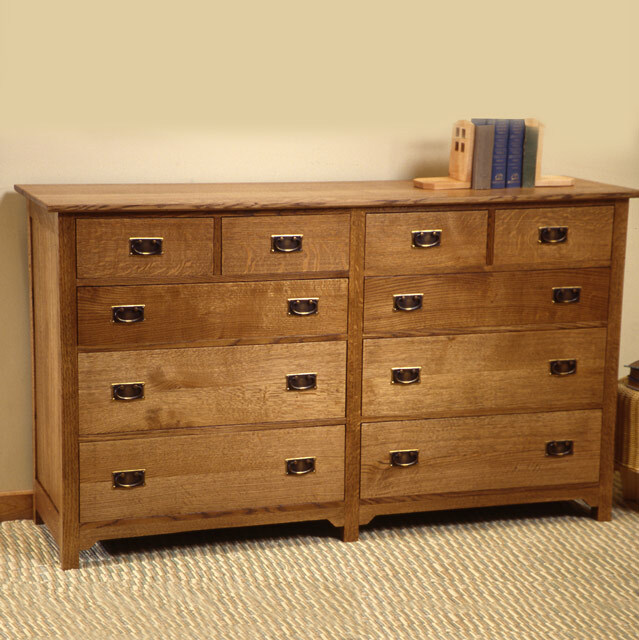 I also construct these larger pieces to make sure if you’re moving them up stairs or across the country, it’ll be a breeze. To learn more about the Sandhill Designs dressers and armoires shown here, see my Dressers & Amoires Portfolio.